Beautifully shot with a powerful lead performance, “Luciferina” is satisfyingly creepy and surprisingly original — while boasting one hell of an ending. Despite the seriously overcrowded playing field, there’s something truly special about a great religious horror film. While few films about demonic possession ever manage to break through the clutter without feeling purely derivative, there’s a reason the sub-genre is such a hotbed of activity. When done right, these films deliver some of the most satisfying scares and great atmospheric dread. 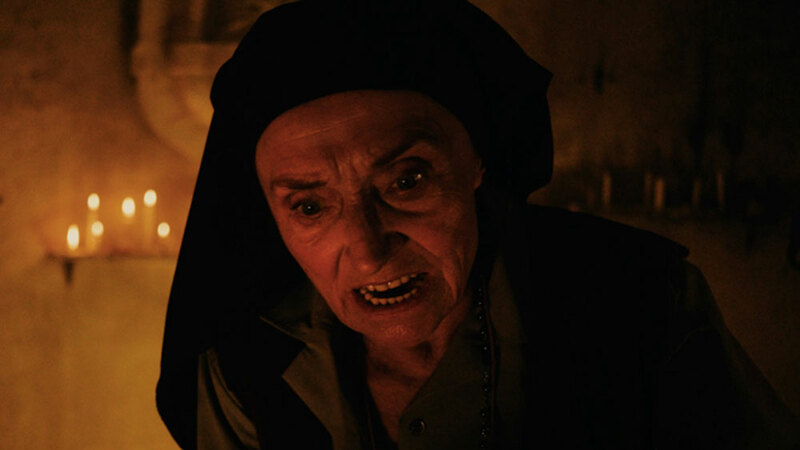 Luciferina is the latest film from Argentinian writer/director Gonzalo Calzada. His previous film Resurrection was the most watched horror movie in Argentina’s history. Undoubtedly inspired by Dario Argento’s “Three Mothers” trilogy, Luciferina is introduced to viewers as the first of a trio of films known as “The Trinity of Virgins”. While the film tackles some very familiar subject matter, it does so with a daring style that helps elevate it above typical genre fare. Luciferina opens with a beautiful young nun named Natalia (Sofia Del Tuffo) happily working at a convent. She receives word from home that her parents were in an accident, and her mother has died. Despite the unsettling news, she’s in no hurry to leave. But the mother superior insists she return home, reminding Natalia that the convent is “not a hideout”. Even before Natalia arrives to help care for her gravely ill father, we understand that her childhood home holds little in the way of happy memories. It’s clear she’s desperately trying to escape something, but we’re not sure what. She begins to see troubling visions, and finds herself confronted with an unexplained sexual awakening that leaves her feeling shameful. Her older sister, Angela (Malena Sanchez) also seems to be fighting several inner demons of her own. Angela loves her sister, but she’s terribly angry at her for running away and leaving her alone with such unfit parents. Feeling lost, she finds herself under the influence of drugs and an abusive and manipulative boyfriend (Francisco Donovan). On top of all that, she’s convinced there’s some kind of evil force plaguing their home. She believes her parents were hiding a dark secret, and she’s determined to discover what it is. Thus, she plans to travel to the jungle in Tigre with a group of friends to perform a rite with a sacred plant — one she hopes will reveal everything to her. She begs Natalia to come with her. At first, Natalia refuses. But she fears for her sister’s safety on the dangerous journey with her volatile boyfriend, so she reluctantly agrees to tag along. The drug they are seeking is known as Ayahuasca, a powerful hallucinogenic that is said to have mystical powers. It’s thought to be a gateway to the spiritual world. But, as the shaman in the film warns, the drug reveals “whatever you have brought with you”. And for those trying to escape a troubled past, what is revealed will not be salvation but damnation. Once the group takes the drug, all hell breaks loose…quite literally. And Natalia finds herself in a battle with Satan himself, who has taken possession of the man she loves (Pedro Merlo). Clocking in at nearly two hours long, Luciferina requires a bit of patience, but it does it part to reward that patience in spades with an explosive and extremely satisfying climax. This film can best be described as having two very distinct acts. The first act is a beautifully atmospheric and haunting slow burner that sets up a compelling mystery surrounding our protagonist. What do her disturbing visions mean? What brought an unbaptized girl from a non-religious family to the convent? Why can she see the auras of other people? Why is she so drawn to the strange drawings of uteruses done by her mother? Who is she really, and what is she running away from? The second half unleashes a frenzy of madness and nightmarish imagery, as well as some great effects and supernatural chaos to satisfy the horror fans who have tuned in more for the real scares than the atmospheric creepiness. This all culminates in a transgressive and highly progressive exorcism scene unlike anything you’ve ever seen before. The infamous “sexorcism” scene involves the virginal heroine seducing her demon-possessed love on an altar. It’s brilliantly shot, entirely original, and equal parts sensual and sinister. Sofia Del Tuffo is extraordinary as Natalia, managing to convey a very believable sense of innocence and fragility throughout most of the film, while delivering a bold and fearless performance at the climax when she’s suddenly transformed through her bravery and newfound confidence. At its core, this is a film about female empowerment and sexual liberation. Our heroine must fight her fears that sexuality is evil and fully embrace that sexuality for the first time in order to defeat true evil. It’s a surprising and exceedingly smart twist on a tired formula that makes Luciferina well worth the watch — and the perfect setup for what seems to be a tremendously promising supernatural trilogy. 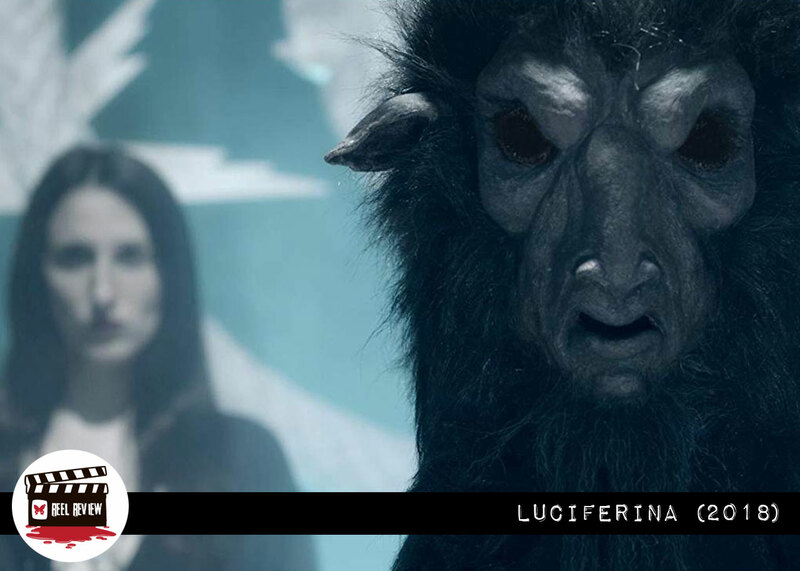 Luciferina will be released by Artsploitation Films on November 20th on Blu-ray and DVD in North America. On December 4th, the film will launch on Digital HD, including iTunes, Amazon Instant Video, Google Play, Vudu and more.